China's approach to innovation is unique and massive. One of the industries where China is market leader worldwide is in renewable energy. In 2016 China invested $32 billion outside the country. Five of the six biggest solarcell companies come from China. At this event you will meet managers from Chinese Internet and tech giants, entrepreneurs, technology parc managers, most promising startups and experience innovations that open your eyes to an entirely new world. We will also look for win-win collaborations and investment opportunities in selected high-tech areas that are of interest for both Switzerland and China. Last, but most important, it will be discussed how Chinese and Swiss business cultures are different and where they align; what expectations there are and how one can avoid cultural misunderstandings. Exclusive interview with ICBC President: "Switzerland is a natural beauty"
Go to article - Lindtner, S., Greenspan, A., Li, D. 2015. Aarhus Series on Human Centered Computing, [S.l. ], v. 1, n. 1, p. 12. Professor Meinel has been an observer of China’s path to high-tech innovation leadership for three decades. He is Dean of the Digital Engineering Faculty of the Potsdam University and Director and CEO of the Hasso Plattner Institute for Digital Engineering. Among his many activities in education, academia, and as German government advisor, he is also a honorary professor at the Department of Computer Sciences at Beijing University of Technology and a guest professor at Shanghai University. Logitech was among the first companies to enter China. They could observe the changes and transformations first hand with all its challenges and opportunities. The renowned China business expert and advisor to Chinese and Western high-tech companies and governments will explain the wave of Chinese high-tech giants challenging Silicon Valley and will try to answer the question: "win-win collaboration or fierce competition - what will the future bring?" The managing director at Yuneec Europe will talk about how China became the world's undisputed drone technology market leader, what new drone technologies and trends to expect and how Swiss drone technology companies can potentially profit from collaborations. The PhD candidate at the Center for Security Studies (CSS), ETH Zürich, is researching China’s ambitions to become the AI technology leader by 2030. 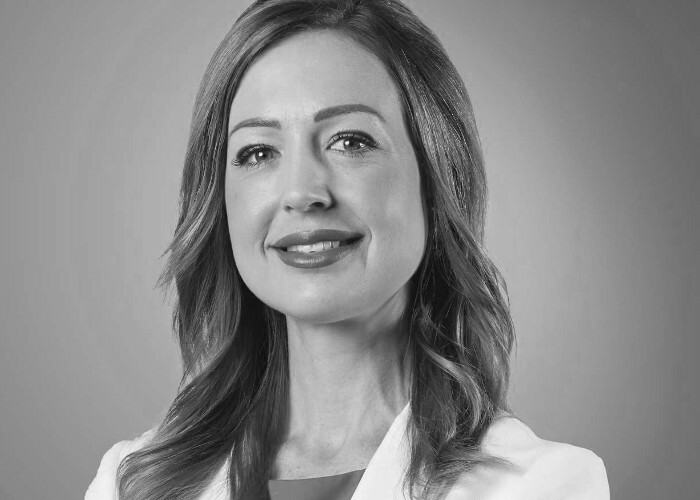 She will explain the current state of investments and will try to address the question: how realistic is it and what will it possibly lead to? Ben is a partner at HAX, a global investor in early stage hardware startups with 200 investments covering IoT, robotics, health tech and more based in Shenzhen and San Francisco. 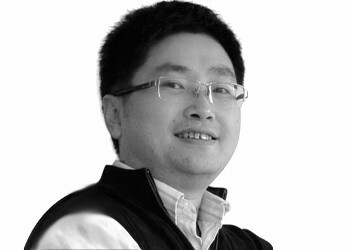 He has a deep understanding of the hardware startup scene in Shenzhen and its ecosystem. In his presentation he will give first-hand insights into the incredible innovation machine in and around Shenzhen (pearl river delta) where the IoT, robotics and data networking foundations for China’s Industry 4.0 entry are created. He worked in various management positions at Mannesmann and ThyssenKrupp Elevator before becoming COO of Bühler Group, spending more than seven years in Asia mainly in China. With Bühler Group he just implemented the latest digital technologies in a brand-new facility in China. We honor the lifetime work of a Swiss entrepreneur. Panel discussion: How close are Chinese and Swiss values and can we build on them for high-tech collaborations? How to build trusting relationships and better understand expectations. How to improve the chances for successful collaborations and investments. Daniel Borel is a Swiss businessman and co-founder of Logitech. In 1973, Daniel Borel earned an engineering degree in Physics from the École Polytechnique Fédérale de Lausanne in Switzerland, and in 1977 received a Master of Science degree in Computer Science from Stanford University. Borel co-founded Logitech at his father-in-law's farm in 1981 with Pierluigi Zappacosta and Giacomo Marini. He served as Logitech's Chairman 1982 to 2008, and served as the company's CEO from 1982 to 1988, and again from 1992 to 1998. In 1988, he took the Logitech Group public on the Swiss stock market, and on the Nasdaq in 1997. He is currently serving on Logitech's Board of Directors. Borel currently serves on the board of directors of Logitech and Nestlé. He also serves on the board of defitech, a foundation that brings IT technology to disabled people and is chairman of swissUP, a foundation dedicated to the promoting education in Switzerland. After graduating with a degree in Business Administration, Andreas R. Herzog continued his studies in various postgraduate courses in marketing and finance management at business schools in France, Canada, and the USA. He has held management positions at Ciba-Geigy, Swatch, and Swarovski. During his professional career, he has worked in Switzerland, Mexico, Colombia, Ivory Coast and Germany. Andreas R. Herzog has been the CFO of the Bühler Group since 2002. 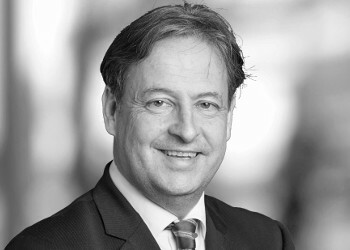 He is also a member of the board of CCS Holding AG, SeedCapital Invest AG, and the Swiss-Chinese Chamber of Commerce, as well as the advisory board of Commerzbank in Germany. Andreas Herzog was born in 1957 and is Swiss. 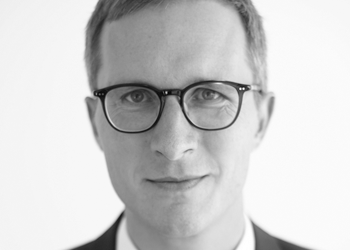 Holger Feldhege studied Business Administration and holds a PhD in Production Management. He has extensive experience in the sales and service business as well as production, engineering, and logistics. He worked in various management positions at Mannesmann and ThyssenKrupp Elevator, spending more than seven years in Asia. 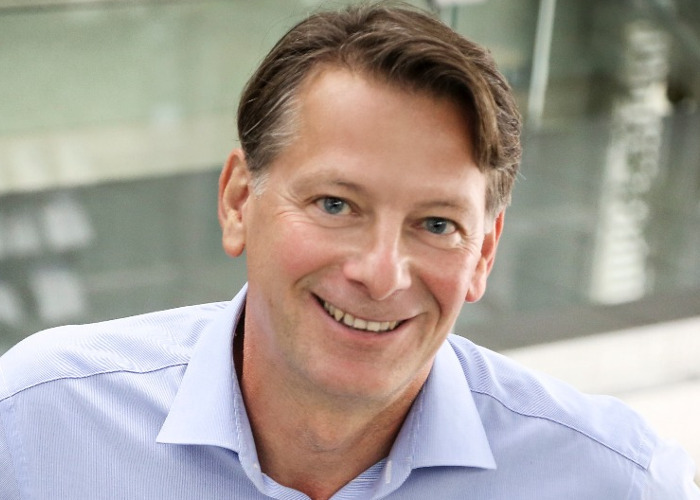 Upon his return to Germany in 2010, Holger Feldhege took on the position of COO Manufacturing for the business unit Central, Eastern, and Northern Europe and later Senior Vice-President Manufacturing Elevator for the worldwide group. In 2014, Holger Feldhege joined Bühler as Head of Manufacturing & Logistics. In 2017, he was named Chief Operations Officer responsible for Manufacturing, Logistics, and Supply Chain. Holger Feldhege was born in 1968 and is German. Professor Dr. Christoph Meinel (Univ. Prof., Dr. sc. nat., Dr. rer. nat., 1954) is Dean of the Digital Engineering Fakulty of the Potsdam University and Director and CEO of the Hasso Plattner Institute for Digital Engineering gGmbH (HP). Hasso Plattner Institute for Digital Engineering is a university excellence center with the academical constitution of a Faculty for Digital Engineering of the University of Potsdam. It is financed by the foundation of Hasso Plattner, one of the founders of SAP. HPI provides outstanding Bachelor, Master and PhD degree programs in Digital Engineering as well as a study program in Design Thinking. The HPI course offerings are freely accessible via the tele-TASK portal and the openHPI online platform. In 2006, together with Hasso Plattner, Christoph Meinel hosted the 1st National IT Summit of German Chancellor Dr. Angela Merkel at HPI in Potsdam. Meinel is a member of acatech, the German “National Academy of Science and Engineering,” and numerous scientific committees and supervisory boards. Christoph Meinel is a full professor (C4) for computer science and serves as department chair of Internet Technologies and Systems at HPI. His areas of research focus on Internet and Information Security, Web 3.0, Semantic Web, Social and Service Web and the domains of e-learning, teleteaching and telemedicine. He is scientifically active in innovation research on all aspects of the Stanford innovation method “Design Thinking.” His earlier research work concentrated on the theoretical foundation of computer science in the areas of complexity theory and efficient OBDD-based algorithms and data structures. Christoph Meinel teaches courses in the Bachelor and Master’s programs on “IT-Systems Engineering” and at the HPI School of Design Thinking. He teaches MOOCs on the openHPI platform and supervises numerous doctoral candidates. He is an honorary professor at the Department of Computer Sciences at Beijing University of Technology and a guest professor at Shanghai University. Christoph Meinel is a research fellow at the Interdisciplinary Centre for Security, Reliability and Trust (SnT) at the University of Luxembourg. Together with Larry Leifer from Stanford University he is program director of the HPI-Stanford Design Thinking Research Program. Christoph Meinel is author/co-author of 9 books and 4 anthologies, as well as editor of various conference proceedings. More than 400 of his papers have been published in high-profile scientific journals and at international conferences. He is also editor-in -chief of “ECCC – Electronic Colloquium on Computational Complexity,” “ECDTR – Electronic Colloquium on Design Thinking Research,” the “IT-Gipfelblog” and the tele-TASK lecture archive and openHPI. 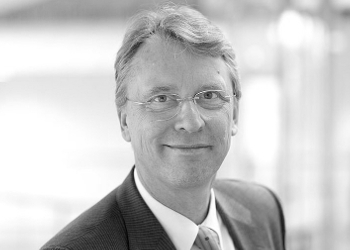 Prof. Dr. Joachim Frick is a partner at Baker & McKenzie and admitted to the bars of Switzerland and New York. He graduated from the University of Zurich (lic. iur, Dr. iur.) and Yale Law School (LL.M., J.S.D). After practicing with Baker & McKenzie in Taipei and Chicago, he in 1997 returned to Baker & McKenzie in Zurich and became a partner in 2001. Joachim specializes in commercial litigation and arbitration and has acted as party counsel in various Swiss and international arbitration proceedings under Swiss, ICC, ad hoc and other arbitration rules. He regularly represents clients in liability disputes and advises in litigeous and non-litigeous insurance/reinsurance matters. 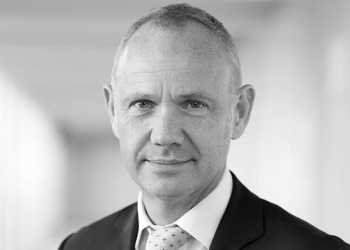 He heads the Swiss insurance practice of Baker & McKenzie and is a member of the Steering Committee of the European Financial Services Practice of Baker & McKenzie. He was named leading attorney in insurance and reinsurance matters by specialized publications. In addition to being a practicing lawyer, he regularly teaches as professor of law (Titularprofessor) at the University of Zurich and is a lecturer in a number of graduate programs. Dr. Edward Tse is Founder & CEO of Gao Feng Advisory Company, a global strategy and management consulting firm with roots in China. He formerly led the China business of the Boston Consulting Group and Booz Allen Hamilton/Booz & Company, respectively for a period of 20 years. 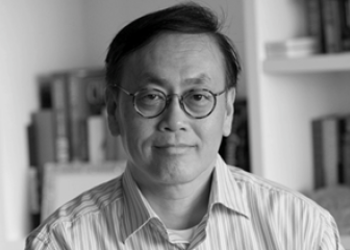 A leader of the team who set up and led China’s first government-authorized office (in Shanghai) among all international strategy consulting firms in the early 1990s, Dr. Tse specializes in the definition and implementation of business strategy, organizational effectiveness, and corporate transformation across various industries, as well as cross-cultural partnerships and mergers & acquisitions. He has assisted hundreds of companies – headquartered both within and outside China – on all aspects of business related to China and its integration with the rest of the world. He also consults to public sector organizations such as the World Bank, the Asian Development Bank and the Chinese Government on issues related to policies, state-owned enterprise reform and competitiveness. He is/was external board members for several large Chinese national enterprises, a special policy advisor of the Shanghai Municipal Government and a member for Hong Kong SAR Government’s Commission for Strategic Development. He is also the author of over 150 articles and four books including the award-winning The China Strategy (Basic Books, 2010) and China’s Disruptors (Portfolio, 2015). Sven, Wen YU is founder of self-media TechGate. 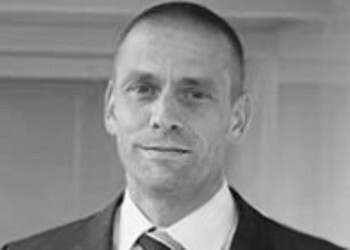 Sven has been engaged with ICT industry related reports for nearly 20 years. He worked in various international media companies, including the Chinese release of magazine connet by Motor Presse Stuttgart GmbH, SmartReseller China of Ziff Davis, SmartPartner China of CNET, CBSi China and others. He has served as senior editor, editorial director, deputy editor-in-chief, executive editor-in-chief and other roles. Sven did all the in-depth interviews and analysis reports from the evaluation of 2C's ICT hardware products, to enterprise software of 2B and the ecological cooperation of the ICT industry chain. Sven has established with the leaders of the ICT industry OEM / ODM, SI / ISV and distribution retail channels a good mutual trust and relationship. Sven is also a consulting partner for many famous enterprises in the IT industry in China. Sven focus on cloud computing, big data, artificial intelligence, software, intelligent manufacturing, internet of things, Blockchain and other B2B ICT topics. Among the executives he had interviewed were the global CEO of SAP, the global CEO of Intel, the global CEO of HP, the global COO of Microsoft, Huawei's CEO, AliCloud's CEO and many others. 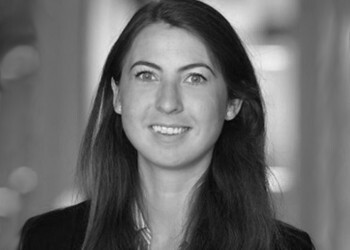 Sophie-Charlotte Fischer is a PhD candidate at the Center for Security Studies (CSS). She holds a Master’s degree in International Security Studies from Sciences Po Paris and a Bachelor’s degree in Liberal Arts and Sciences from University College Maastricht. During her undergraduate studies, she also spent one semester at Queen’s University in Canada. Sophie is an alumna of the German National Academic Foundation. 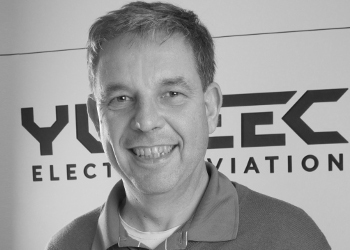 Jörg Schamuhn is MD at the Yuneec Europe GmbH and has built up and effective organization covering sales, marketing, in and outbound logistics, IT, after sales service and finance operating in the EMEA region. He graduated at the University of German Armed Forces Munich and was awarded a Master of Science in Air and Space Technology. After graduation he became a Jet Fighter Pilot in the Navy and achieved around 1500 flying hours as also qualifications as test pilot, weapons planner and flight safety officer. After that he worked for 20+ years in the areas of sales, marketing & supply chain in several industry companies with management and leadership skills and an international and global footprint. Several startup brands developed into leading brands of their industry with him like for example Horizon Hobby. 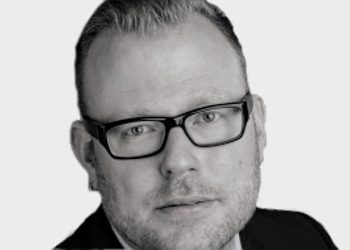 He is Vice Head for companies and politics at Handelszeitung, the leading economic weekly newspaper in Switzerland. In his team six journalists report on topics about economical politics, macro economic subjects and regulated industries. This includes the financial services sector, electrical utilities and the telecom industry. He is an economics journalist since more than ten years. Before his work at Handelszeitung he worked for DieNordwestschweiz, one of the biggest daily newspapers in Switzerland as vice head economics. He studied Business Adminstration at the Zurich ZHAW School of Management and Law and at the University in Basel German, Media and Philosophy. Prior to that he obtained a journalistic education at Schweizer Radio SRF and also did studies at the Wharton Business School in business journalism. He is fluent in German, English and French and lives in Zurich. 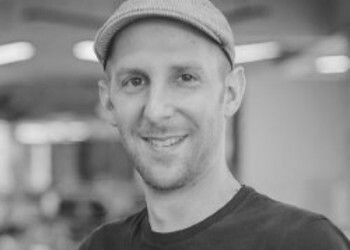 Benjamin is General Partner at HAX, the #1 acceleration engine for hardware startups. His experience spans 16 years in Asia (China, Japan, Korea) in various high­tech industries: telecom, Internet, mobile, gaming and hardware. Prior to HAX, he was the founder of +8*, a strategy consultancy researching Asia­based digital innovations supporting clients such as Microsoft, Citi and Harvard Business School. He also founded Mobile Monday Beijing, a community of thousands of mobile industry professionals in China, running over 40 events. He has lectured, judged or joined panels at the world’s leading technology events and universities in over 20 countries, including TechCrunch Disrupt, LeWeb, Pioneers, Slush, SXSW, TEDx, Stanford, Berkeley and more. Benjamin is a regular guest writer on TechCrunch, also quoted by Forbes, Bloomberg TV, CNN, WSJ, The Economist, WIRED, Quartz and more. Benjamin’s online presentations recorded over a million viewers, covering topics from innovation ecosystems to “Lean Hardware” methodology. 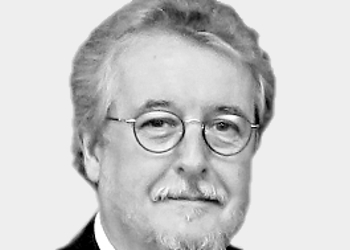 Hans M. Huber has over 40 years of applied and managerial experience in Switzerland, Germany, USA and China. For more than 30 years, he has been working in the Wire Rope technology and business. Since 1993, he regularly travels to China and he lived in Suzhou between 2006 and 2014. After setting up a wire rope company and factory in Rome, Georgia, USA for the Brugg Group, he realized a wire rope company and factory for Gustav Wolf Wire Rope in Suzhou, China. During his 7 years in China he was CEO of Gustav Wolf China. In that time he was appointed by the Chinese Central Government in Beijing to be a “Foreign Expert”. In 2015, Hans M. Huber founded the H. Huber GmbH in Switzerland and the independent Hong Kong Rope Safety Laboratory in Hong Kong. Over the years he has developed a deep understanding and appreciation for China the Chinese culture and its business practices. Martina Fuchs is CNNMoney Switzerland Anchor based in Zurich. 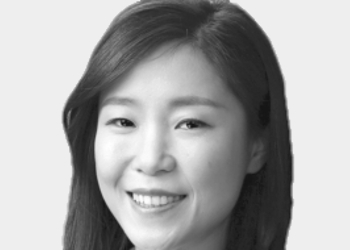 Prior to joining the network in 2017, she worked as China Global Television Network (CGTN) Host and Senior Business Reporter in Beijing, Reuters Economy Correspondent for the Gulf Arab region in Dubai, and Reuters Financial TV Producer in London. She holds a Master in International Economic History from the University in Geneva, Switzerland, a Postgraduate Diploma in TV Journalism from the American University in Cairo, Egypt, and a Master of Science in Global Finance (MSGF) from the Hong Kong University of Science and Technology and the New York University Stern Business School. She speaks 9 languages, including: German, French, English, Chinese, Arabic, Spanish, Portuguese, Italian, and Swahili. Martina has covered top global news events around the world, such as the Belt and Road Forum in Beijing in 2017, the G20 Summit in Hangzhou in 2016, the World Economic Forum in Davos, Switzerland, and has conducted dozens of exclusive interviews during her career, including with Swiss President Doris Leuthard, China's richest man Wanda Group Chairman Wang Jianlin, World Bank Group President Jim Yong Kim, or Grammy Award winner and musician will.i.am. After completing his engineering degree at the EPFL in 1985, Daniel Brandenburger was the first Swiss to go to China with the aim at learning Chinese and completing technical studies at the Tsinghua University of Beijing. Daniel created his first company in 1988 related to China before supporting large enterprises to open, restructure and manage their production, engineering and sales organizations in Asia, especially China. That included Swiss well-known companies like Bobst, Lemo or Buhler as well as European MNCs in areas as various as the components, machineries, energy and Mining Industries. Now back in Switzerland, Daniel enjoys sharing his Asian and Operational experiences with the Swiss local industries. As an Innosuisse startup coach since 2016, he helps young entrepreneur to develop their own ideas in successful stories. Daniel is as well a consultant for various SMEs, conducting operational audits, supporting restructuring plans and consulting on China investments. Furthermore, Daniel is also a Business Angel and President of APIA Swiss, a Professional Non-Executive Directors Association. 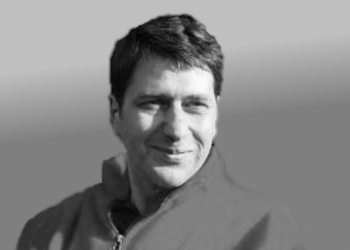 Diego Gilardoni, a former journalist turned international communication consultant with professional experience in Europe, US, Asia and Africa, advises international companies faced with the communicational and cultural challenges associated with operating in an increasingly complex global business environment. An expert on China, he is the author of “Decoding China. Cross-cultural strategies for successful business with the Chinese” (Itim, 2017). 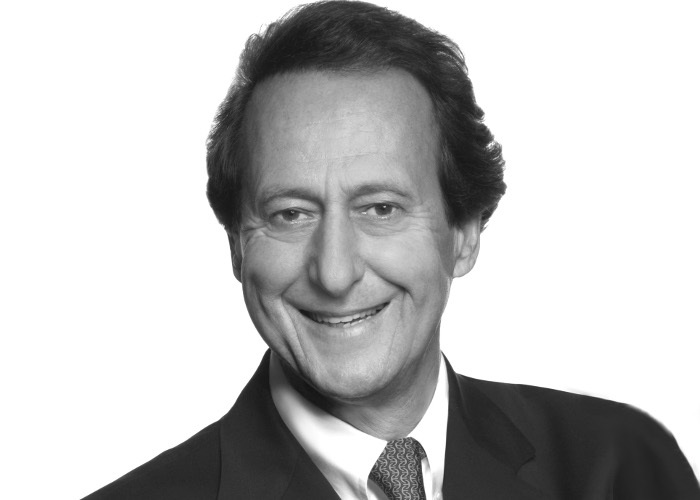 Diego Gilardoni is also a sought-after international speaker specialized in global business, corporate diplomacy and reputation. He has given a TEDx Talk on cultural intelligence in global business and has spoken at international conferences such as the Istanbul Leadership Summit, the World Communication Forum, and the High Forum for Intercultural Business Communication in Beijing, while he will be a speaker on corporate diplomacy at the annual conference of the China International Public Relations Association. A graduate in History from the University of Fribourg, he holds a Post-Graduate Diploma in Global Business with a focus on reputation and corporate diplomacy from the University of Oxford and an Executive Certificate in Advocacy in International Affairs from the Graduate Institute of International and Development Studies in Geneva. Patrick Aebischer completed a degree in Medicine (1980) and Neuroscience (1983) at the Universities of Geneva and Friborg in Switzerland. From 1984 to 1992, Patrick Aebischer worked at Brown University (USA) in the Department of Neuroscience and in the Department of Biomaterials and Artificial Organs as Assistant Professor and Associate Professor. 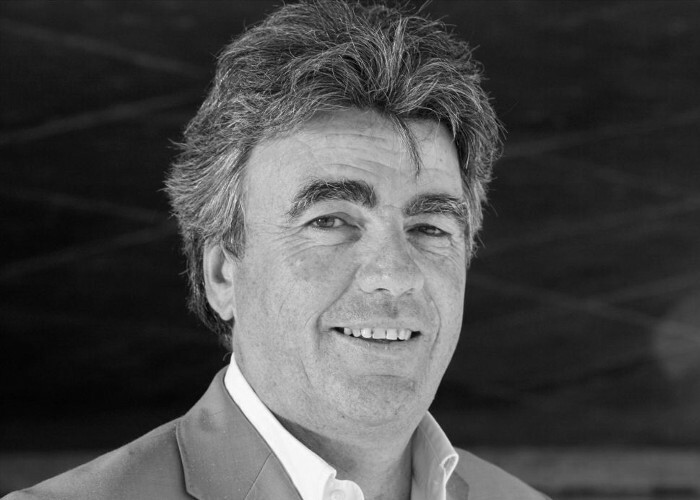 In 1992, Patrick Aebischer was appointed Professor of the Autonomous Division of Surgical Research and Center of Gene Therapy (DARC) at the Vaud University Hospital Center (CHUV) in Lausanne. In 1999, the Federal Council appointed Patrick Aebischer as President of the Swiss Federal Institute of Technology Lausanne (EPFL). He took up his post at the EPFL Presidency in March 2000, a position he held until 31 December 2016. 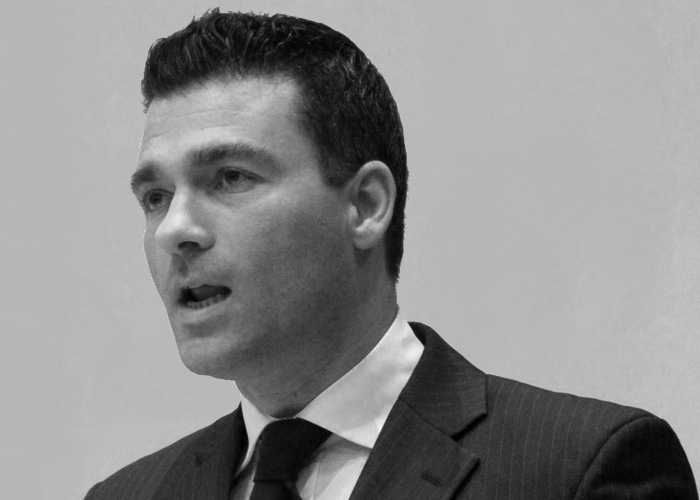 Patrick Aebischer is a member of many professional societies, both in Europe and the United States. Patrick Aebischer founded three biotechnology start-ups. He serves on the boards of Lonza, Logitech and Nestlé. He also chairs the advisory board of the Novartis Venture Fund. Patrick Aebischer is a member of the Board of Trustees of the Montreux Jazz Festival, the Verbier Festival and the Jacobs Foundation. His current research in his laboratory focuses on the development of cell therapy and gene transfer approaches for the treatment of neurodegenerative diseases.